Sent to clients 25 Oct….In a briefing to the Portfolio Committee on Energy on the report by the Competition Commission (CC) into the Liquified Petroleum Gas (LPG) sector, acting Director General of the Department of Energy (DOE), Tseliso Maqubela, has again told Parliament that the long-standing LPG supply shortages are likely to continue for the present moment until new import infrastructure facilities come on line. He was responding to the conclusions reached by the CC but reminded parliamentarians at the outset of the meeting that the Commission’s report was not an investigation into anti-competitive behaviour on the part of suppliers but an inquiry, the first ever conducted by the CC, into factors surrounding LPG market conditions. 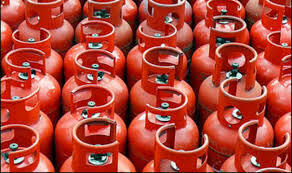 In their general comments, the Commissioner observed that the inquiry commenced August 2014 on the basis that as there were concerns that structural features in the market made it difficult for new entrants and the high switching costs for LPG gas distributors mitigated against change in the immediate future. 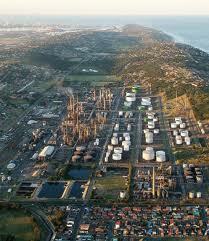 SAPREF in Durban, (Shell and BP); Sasol at Secunda; PetroSA at Mossel Bay; and CHEVREF in Cape Town (Chevron). There are four wholesalers, namely Afrox, Oryx, Easigas and Totalgaz. As far the wholesalers are concerned, in the light of all being foreign controlled, CC also observed that transformation was poor, but this was not an issue on their task list, they said. They had assumed therefore that BEE legislation was difficult to enforce and that the issue had been reported to the Department of Economic Development, the portfolio committee was told. Price regulation at the refineries and at retail level is supposedly determined by factors meant to protect consumers, the CC said, but their inquiry report noted no such regulations specifically at wholesale level. This fact was stated as being of concern to the CC in the light of known “massive profits in the LPG wholesaling sector”. The CC established from the industry that about 15% of LPG supplied is used by householders and the balance is for industrial use. In general, they noted that there were regulatory gaps also in the refining industry but regulatory requirements were over-burdening they felt and contained many conflicts and anomalies. The CC had also reported that the maximum refinery gate price (MRGP) to wholesalers and the maximum retail price (MRP) to consumers were not regulated sufficiently and far too infrequently by DOE. There needed to be one entity only regulating the entire industry from import to sale by small warehousing/retailers, they said. 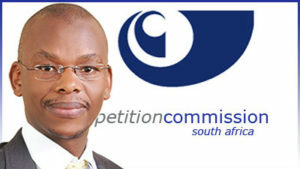 The CC suggested in their report that the regulatory body handling all aspects of licensing should be NERSA . As far as gas cylinders were concerned, Commissioner Bonakele noted in their report that there are numerous problems but their criticism was that the system currently used was not designed to assist the small entrant. The “hybrid” system that had evolved seemed to work but there was a “one price for all” approach. When asked why local refineries could not “up” their supply of LPG to meet demand, DG Maqubela explained that only 5% of every barrel of oil refined by the industry into petroleum products could be extracted in the form of LPG. Therefore, the increase in LPG gas supplied would be totally disproportionate to South Africa’s petrol and diesel requirements. 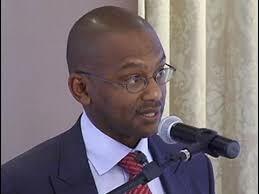 Tseliso Maqubela, previously DG of DOE’s Petroleum Products division, told the Committee that two import terminal facilities have recently been commissioned in Saldanha and two more are to be built, one at Coega (2019) and one at Richards Bay (2021). 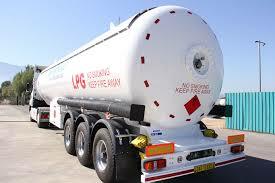 These facilities were geared to the importation of LPG on a large scale. He said, in answer to questions on legislation on fuel supplies, that DOE were unlikely to carry out any amendments in the immediate future to the Petroleum Pipelines Act, since the whole industry was in flux with developments “down the road”. It would be better to completely re-write the Act, he said, when the new factors were ready to be instituted. On the regulatory environment, DG Maqubela pointed out that for a new refinery investor it would take at least four years to get through paper work through from design approval to when the first spade hit the soil. This had to change. The integration of the requirements of the Department of Environmental Affairs, Transnet, the Transnet Port Authority, DTI, Department of Labour, Cabinet and NERSA and associated interested entities into one process was essential, he said. 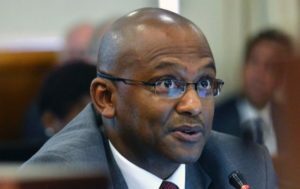 On licencing, whilst DOE would prefer it was not NERSA, since they should maintain their independence, in principle the DOE, Maqubela said, supported the view that all should start considering the de-regulation of LPG pricing. He agreed that DOE had to shortly prepare a paper in on gas cylinder pricing and deposits which reflected more possibilities for new starters. 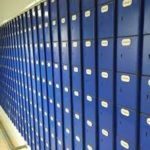 MPs had had many questions to ask on the complicated issues surrounding the supply, manufacture, deposit arrangements, safety and application of cylinders. In the process of this discussion, it emerged, once again, that LPG was not the core business of the refinery industry and what was supplied was mainly for industrial use. The much smaller amount for domestic use met in the main by imported supplies for which coastal storage was underway over a five-year period. DG Maqubela noted that on Long Term Agreements (LTAs) between refineries and suppliers, DOE in principle agreed with the Commission that LTAs between refiners and wholesalers could be reduced from 25 years to 10 years, to accommodate small players. Again, he said, this would take some time to be addressed, as was also an existing suggestion of a preferential access of 10% for smaller players. All in all, DG Maqubela seemed to be saying that whilst many of the CC recommendations were valid, nobody should put “the cart before the horse” with too much implementation of major change in the LPG industry before current storage and supply projects were completed. However, the current cylinder exchange practice must now be studied by DOE and answers found, Tseliso Maqubela re-confirmed.